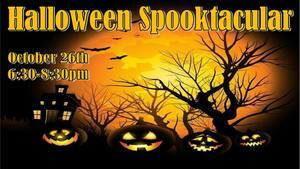 Get into the Halloween spirit by joining us for this spooktacular celebration, NCNC-style! We'll learn about and meet some creepy critters who remind us of All Hallows Eve (spiders, bats, snakes, & more), before getting the chance to make our very own slime. We’ll wrap up the evening by enjoying a spooky & interactive Halloween story and a one-of-a-kind jack-o-lantern experience. You also won't want to miss our 3rd Annual Jack-o-Lantern Carving Contest!